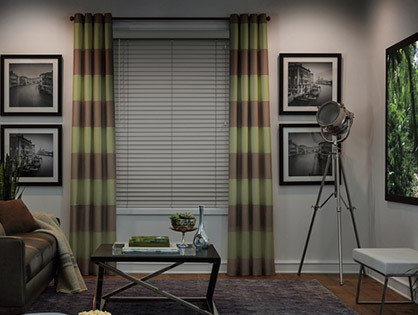 In addition to offering the products of many reputable suppliers, Interior Visions has become an expert in manufacturing and installing several types of their own custom blinds. 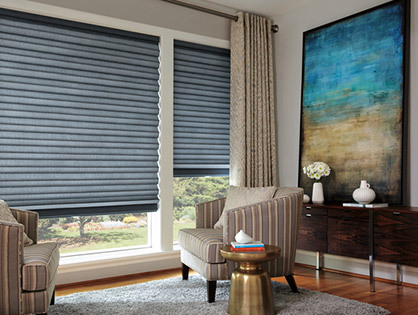 From roller shades, to sheerweave shades, panel tracks, fabric verticals and horizontal blinds, you’ll find a window treatment you love for your contemporary home. Custom drapery can be the finishing touch to any room: they can soften the feel of a room and have a major impact on a room’s decor. 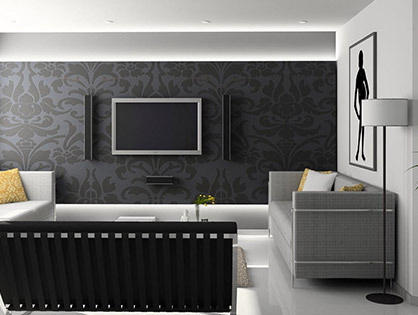 Interior Visions can help bring it all together with it’s designing skills. We offer different styles, color, patterns and fabrics to make sure that every room is designed with your vision and that every budget is respected. We carry the following styles: Side Panels, Drapes, Sheers, Roman, Shades, Curtains etc. 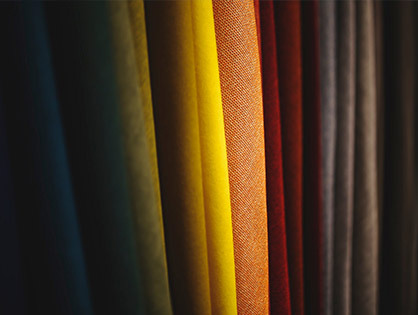 Interior Visions stays on top of the latest fabric trends with its multitude of fabric sample books of drapery fabrics, upholstery fabrics and even outdoor fabrics. With the largest fabric library in the Greater Moncton area, Interior Visions carries thousands of samples from a variety of companies. There are enough colours, textures, and patterns to satisfy your creativity. Spend as much time as you need leafing through our world of fabrics recognizing all the well-known brand names and feel the excitement as you discover new and upcoming companies. Beautiful, quality bedding is another way of decorating your space. 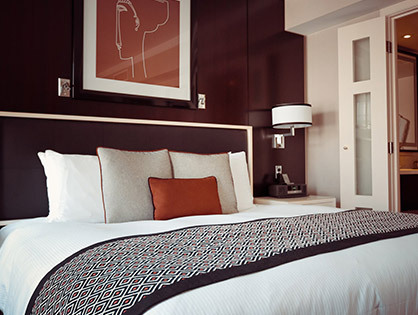 Whether you need the finishing touches like shams and bolsters or a complete bedding ensemble including coverlets, duvet covers, and bed runners, Interior Visions can help you create the bedding of your dreams to bring a world of luxury to your bedroom. We spend 1/3 of our life in bed so why not make your bedding as beautiful as the rest of your home. Our experts will tell you that one of the best ways to give your room a distinctive and captivating look is by using wallpaper. From modern and sophisticated to enlightened and fun, Interior Visions has a variety of wallpaper to choose from to match everyone’s style. Whether your project is a commercial or residential application, we have wallpaper designs that you won’t find anywhere else! No drapery treatment is complete without the right hardware. 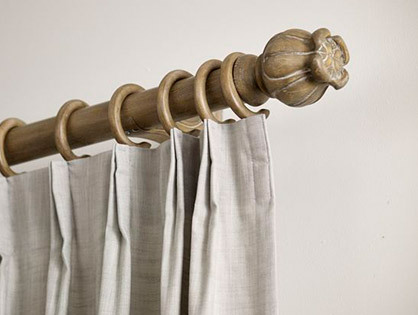 Interior Visions has a large selection of beautiful in-stock drapery hardware in our showroom. The selection just keeps growing in popularity with collections such as Sahara, CDH Collection, and Novo Mondo. We carry wood rods, metal rods, traverse rods, spring tension rods and even unfinished rods. If it can’t be found in our store, it can be found in our catalogs. We can custom order the hardware of your choice from traditional to contemporary, we can get it all. 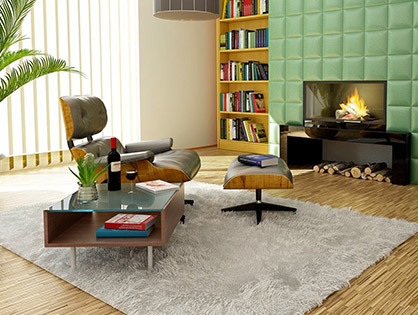 Beautiful, attractive rugs is another way of decorating your residential or commercial project. We have an impressive selection of custom rugs for you to go along with our collaborative design process to help you choose a rug from any point of inspiration. We carry many sizes and styles, so whether you want a modern rug or a classic rug, we have the design for you.